Do you love Thai food? This recipe is an ode to the Kang Ped Phed I used to eat at a local Thai restaurant. The Thai basil is the star of this show and I can’t get enough. Don’t worry though, it’s only a little spicy. 1. Heat peanut oil over medium high heat in large skillet. 2. Place steak into skillet and add salt. 3. 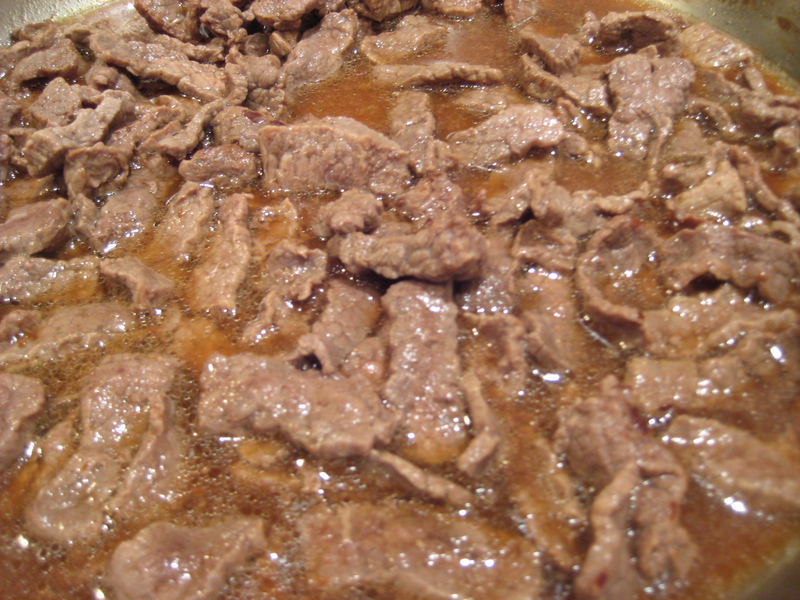 Sauté until browned and the liquid from the meat has caramelized onto the bottom of the pan. See this image. 4. Add water and scrape all the brown off the bottom and sides of the pan. Don’t miss any as this is the beef flavor. Do it right and it will look like this. 5. Mix honey and cayenne into broth. 6. 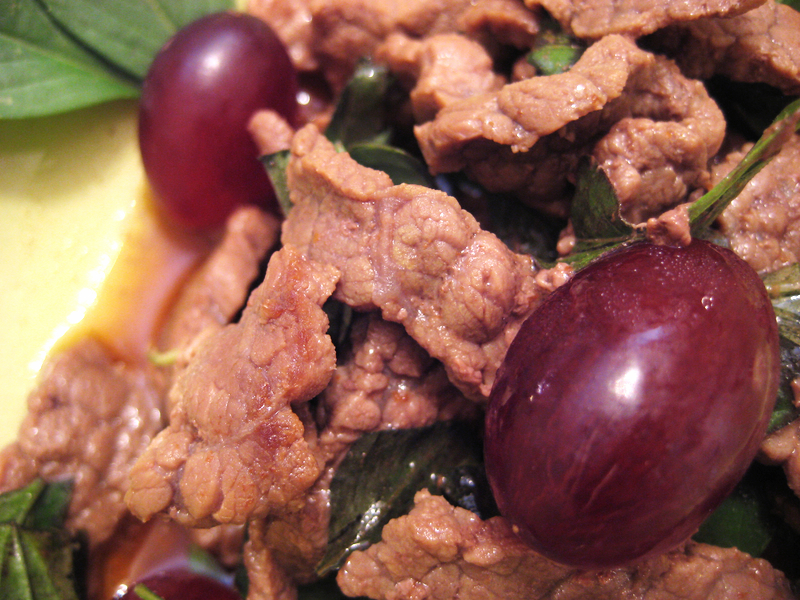 Add grapes and Thai basil and continue cooking for 3 minutes. 7. Serve in a bowl with some broth as the broth holds a lot of the flavor. Thai basil has a distinct licorice component so if you can’t get it, you could try licorice basil. If the basil leaves are large, you can chop them up a little. If memory serves me, you should be able to eat Thai food without needing a knife. Keep that in mind when you’re slicing the beef. That is a great site! Thanks for the tip. NOTE: thaifoodtonight is NOT an SCD site. If people follow the link, it will quickly become obvious that it is not SCD. I have learned a little about stir fry cooking from their videos and as such, find it valuable.